Healthy cooking - eat fried food without the guild and extra calories! Digital TouchScreen control panel with LED display, easy control and elegant design. Can hold up to 3.7qts of fresh or frozen food - add your ingredients, and enjoy your meal in minutes. 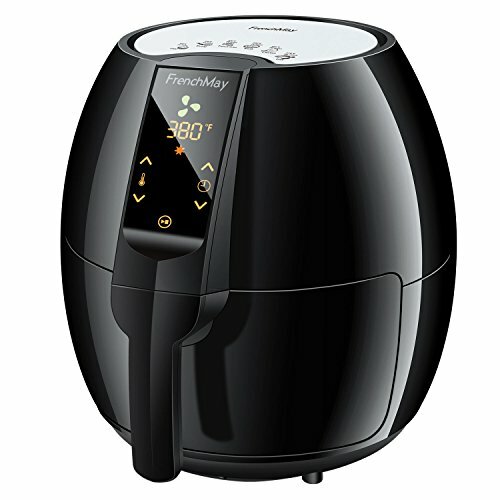 If you have any questions about this product by FrenchMay Air Fryer, contact us by completing and submitting the form below. If you are looking for a specif part number, please include it with your message.